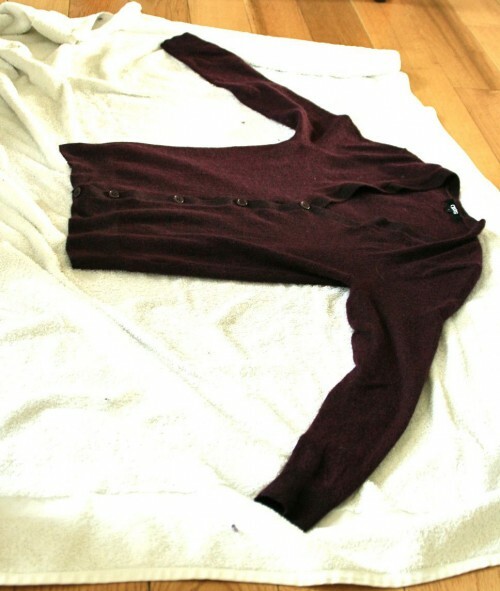 How can I unshrink my jumper? Over the last few months I’ve managed to shrink two wollen tops that I really liked, the first was a v-neck jumper, the second a cardigan. I think I’ve managed to restore the cardigan by soaking it in luke warm water and hair conditioner (as recommended here), but the jumper doesn’t seem to want to be stretched. Does anyone else have tips on how to un-shrink a jumper?